The seven-time Grammy Award winner and judge on The Voice is to perform at arenas in Manchester, Birmingham and London from December 3. The Bang Bang rapper will play Manchester Arena on December 3, followed by Birmingham's LG Arena on the 4th and London's O2 Arena on the 5th. Tickets will be available from 9am on July 26 through www.aeglive.co.uk. 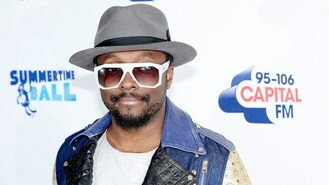 It is not known if Will.i.am - whose real name is William Adams - will return to the judging panel of BBC show The Voice, following the exits of fellow judges Jessie J and Danny O'Donoghue. Jessie announced she was quitting earlier this month, blaming overseas touring and promotional commitments. But she added that she would like to have some involvement in a further series, saying: "I shall be keeping a very close eye on series three, showing my support in every way I can, and really hope that in some way that I can be part of the show." Irish heartthrob Danny, who won the BBC One show this year with partially-sighted singer Andrea Begley, plans to focus on his band The Script. Danny said: "My focus will be on The Script moving forward as we are about to embark on the most important part of our career as a band."